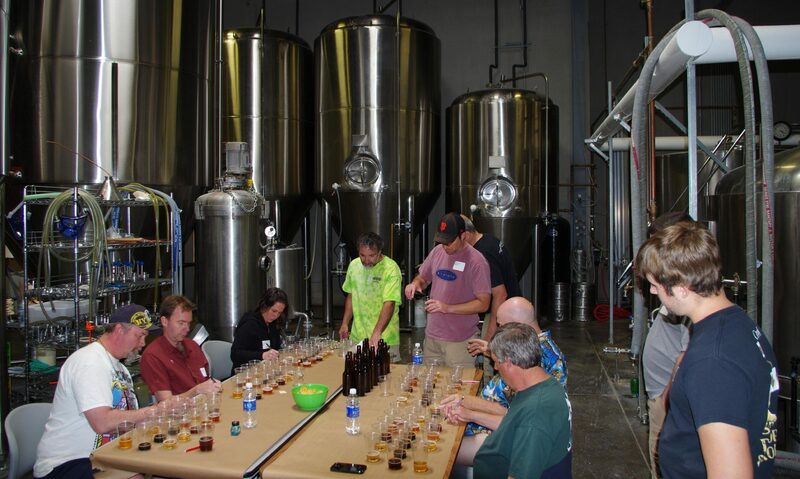 We are excited to invite you to join us as a judge or steward for the 7th annual CANFEST – the original international canned beer festival and competition that will take place in Reno, NV on August 29th 2015 (competition judging on August 28th). Once again the competition portion of the event has been registered as a BJCP sanctioned event so we are excited to reach out to a broad audience of judges and future judges to help make the competition a success. This means you will receive judging/stewarding points for your help. But that’s not all…you will also receive a VIP ticket to the festival on August 29th. The judging this year will take place on the evening of August 28th at the Peppermill Hotel and Casino. If needed an additional round of judging will be scheduled for the morning of August 29th. We hope you will consider joining us as a judge or steward this year and help to make CANFEST a huge success. Please use the following link to register and we will follow up with a confirmation and details as they emerge. The Northern California Homebrewers Festival is coming up. WZZ had a great showing last year and we’re hoping to top it for 2015. The theme for this year is Prohibition. The store will open for sales on two dates: Saturday July 18th, 10AM Pacific Time, and Sunday July 26th, 10AM Pacific Time. 60% of all tickets and select cabins will be available on sales day 1, the balance available sales day 2. Check out their Rules/Disclaimers page for more info on purchasing tickets. 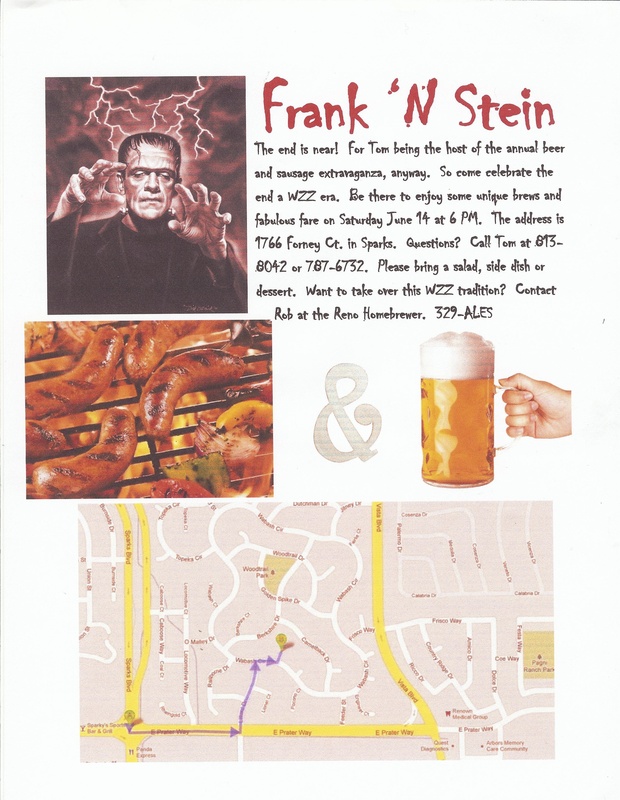 Club meeting at the Reno Homebrewer on Saturday, July 5th, at 6:00 P.M. The main thrust/theme of this meeting will be the upcoming NCHF event in September, and whether or not we really want/need to attend. If you are making beer for the Hoppy Hour session, it is really important that you attend, or at least contact Rob at the Reno Homebrewer. P.S., Those not attending this meeting may be elected to perform tasks they didn’t know they had to perform (just kidding….). For Tom being the host of the annual beer and sausage extravaganza, anyway. So come celebrate the end of a WZZ era. 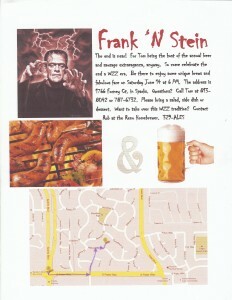 Be there to enjoy some unique brews and fabulous fare! Saturday, June 14th at 6 PM. 1766 Forney Ct, in Sparks. Questions?? Call Tom at 813-8042 or 787-6732. Please bring a salad, side dish or dessert. Want to take over this WZZ tradition? Contact Rob at the Reno Homebrewer, 329-ALES.